Have been abit quiet lately but last few days have been busy on the painting table and gaming table. 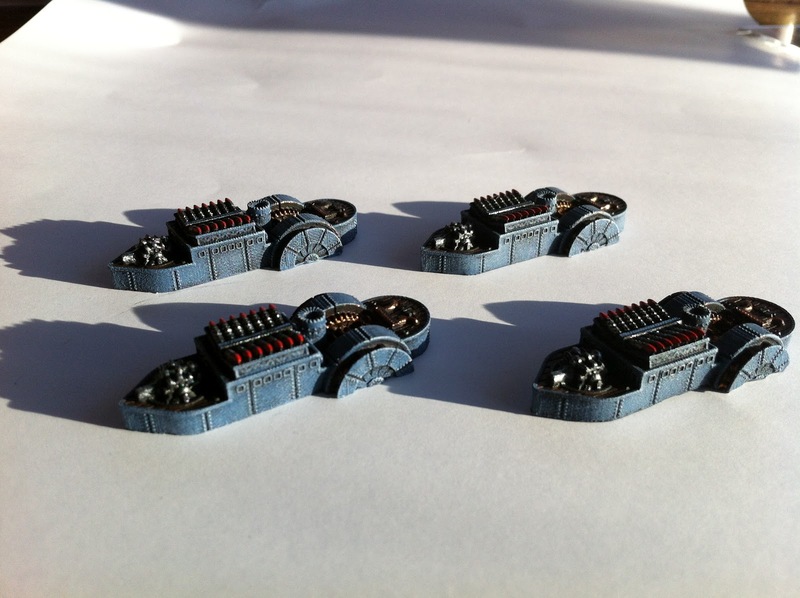 First the new models and I got 4 destroyers and my Valley class airship done on Saturday. 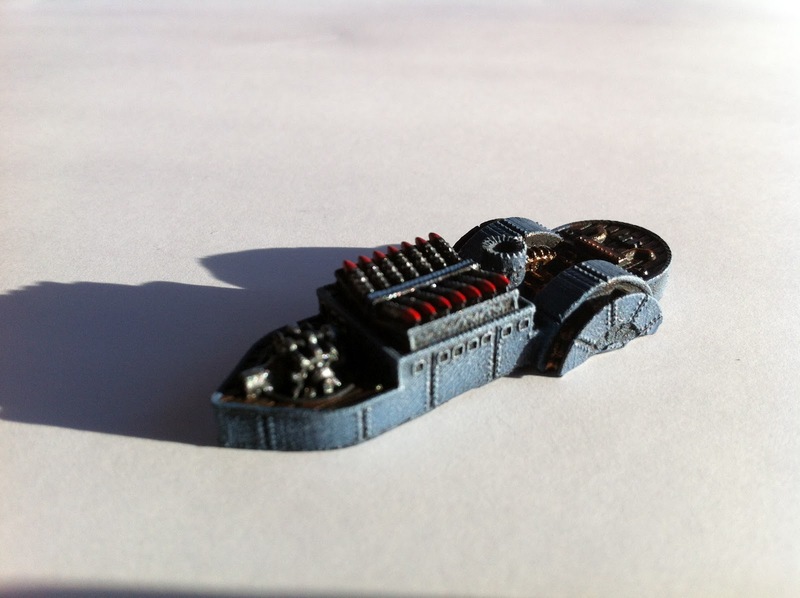 Love the airship and think I will have to get a sky fortress very soon especaily after todays game (but more of that later). So the reason for my painting flurry was that I had a game scheduled at OMTS today vs Bill and his Covenant of Antartica. We played 850 points as an upcoming tournament we are both going in was the same. The COA just after deployment. The destroyers in the centre were to feel the early firepower of the FSA. 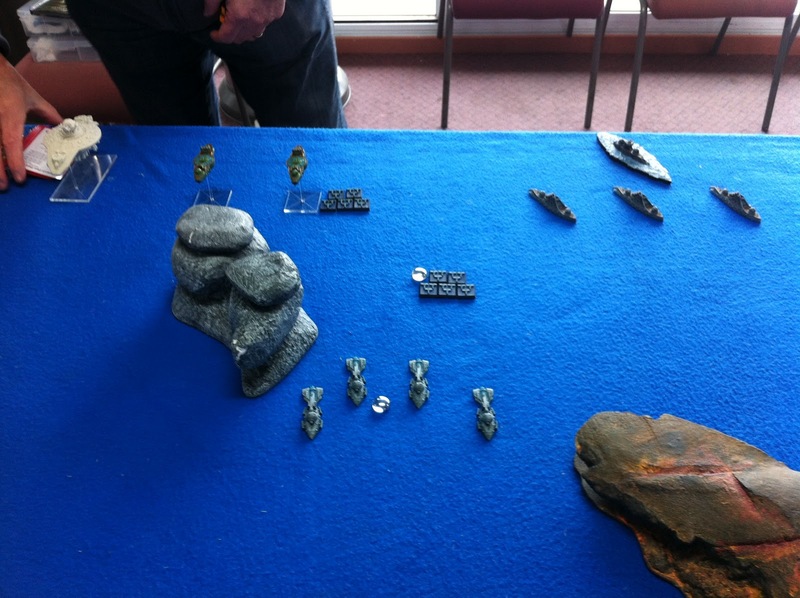 To sum it all up the COA pushed forward but the FSA crusiers took out a couple of destroyers while the FSA destroyers blew a cruiser out of the water with their rockets. 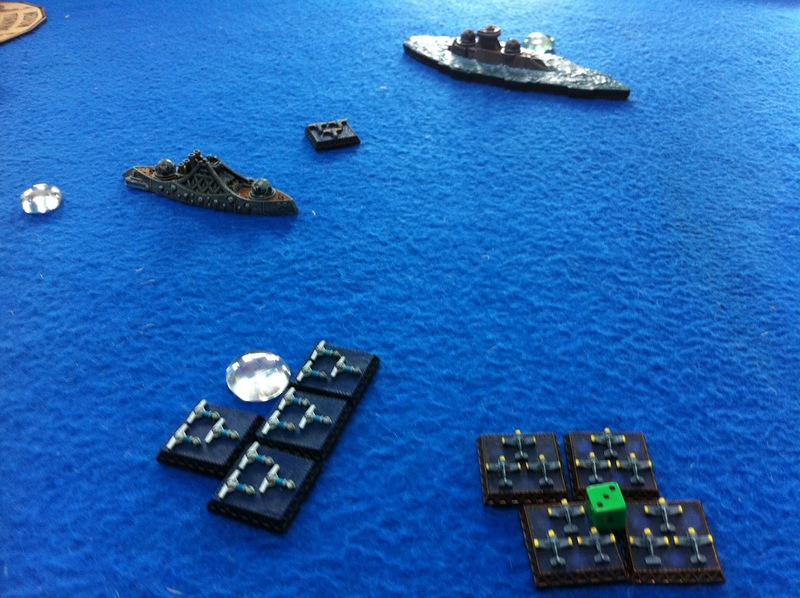 The fsa lost a couple of destroyers to the COA battleship but inflicted alot of hurt on the COA crusiers who were eventually completly destoyed by some FSA tiny flyer torpedo bombers and the sky fortress that sailed up the middle broadsiding everyone who got close. The coa meduim flyers popped up and destroyed a couple of FSA cruisers. 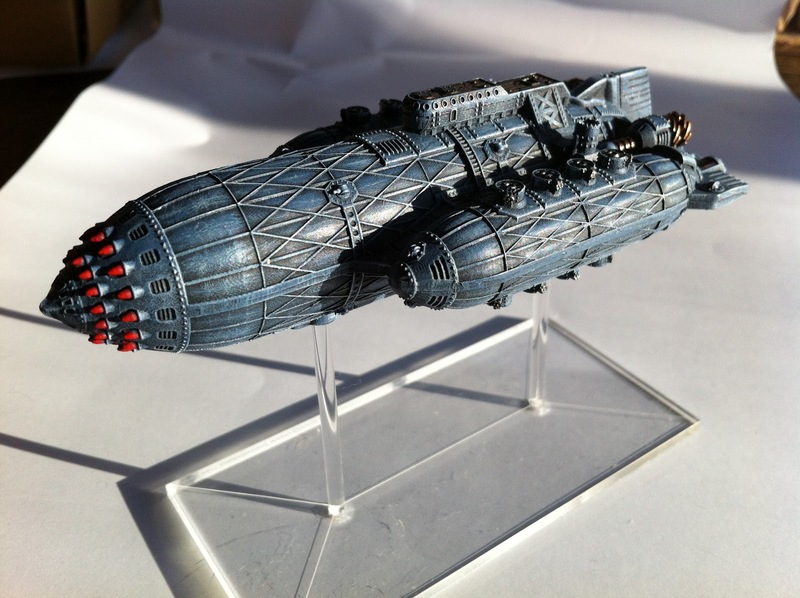 The sky fortress finished both flyers with bombs and a broadside (double 1s helped). On the left flank the John Henrys came straight at the COA sky fortress and over a couple of turns to 4 HPs of damage and although damaged themselves all stayed in one piece. The two battleships slugged it out on the flank with the FSA battleship taking a minor points decision. It was at this stage we called the game (lunch time) which was looking like a probable FSA victory with only a damaged COA sky fortress and battleship left. 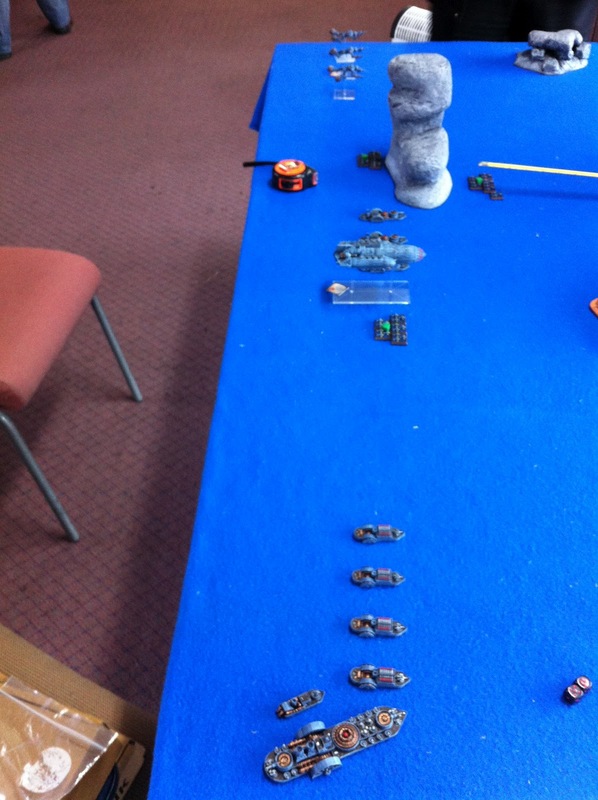 FSA tiny flyers have just taken out a COA cruiser and face the wrath of the COA tiny flyer fighters. Good game and probably cemented my force choice for Tagcon. The sky fortress was great, the destroyers at RB 3 are deadly to virtually anything and the robots... why they're just flying robots so are my first choice everytime.